Make Better Decisions, because you have Better Data. Select and export the results you want and Fresh Relevance will quickly personalize your marketing to match. You can choose who sees what, even in emails that have already been sent. Use all the normal Fresh Relevance features too. The script records events as each shopper browses your website, and this data goes to BlueVenn in the real-time "firehose"
You analyze data as normal in blueANALYZER, then export any interesting result sets back to Fresh Relevance in real-time. Fresh Relevance controls and personalizes your marketing, also in real-time. Fresh Relevance is the marketing hub for online retailers. We increase sales with personalized customer experiences and real-time marketing tactics across email, mobile and web. Our marketing hub unifies siloed systems without the need for an integration project. We deliver full control of real-time marketing tactics such as triggered emails and cross-channel personalization. 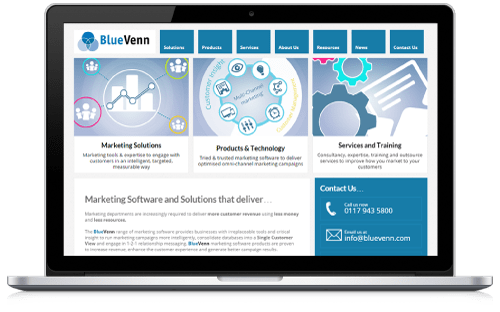 BlueVenn and Fresh Relevance have a technology partnership which integrates our real-time web data and personalization capabilities with the blueANALYZER customer analysis and campaign management platform. See here for the BlueVenn announcement. BlueVenn is an omnichannel marketing platform for marketers to undertake customer analytics and create customer journeys. The software blends online and offline customer data into a 360-degree view and serves up usable customer insight to improve results at every step of the customer journey.